California Attorney General Xavier Becerra announced Tuesday that he is co-leading a coalition of 18 attorneys general in suing the administration of President Donald Trump over the government’s “zero tolerance” illegal immigration policy, which until recently included separating children from their parents at the Mexican border. The complaint, filed in federal court in Seattle, alleges that the policy violates the fundamental due process rights of parents to be together with their children, equal protection rights afforded to parents and their children, as well as other constitutional and statutory claims. A representative of the U.S. Department of Homeland Security could not immediately be reached for comment. The complaint alleges that the administration is in violation of parents’ and children’s constitutional rights, is detrimental to the health and safety of California residents, and violates the state’s sovereignty provided by the U.S. Constitution. The lawsuit contends that the policy — in which more than 2,000 children have allegedly been separated from their parents — has caused measurable harm to immigrant communities throughout the nation. Trump recently rescinded the practice of separating the families, but critics have charged that there is no coherent plan for reuniting the families already separated. 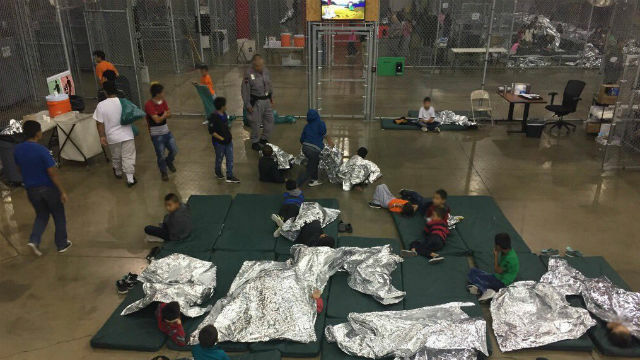 According to the lawsuit, the Trump policy is creating more unaccompanied migrant children and inflicting additional trauma on them that will require the states to use resources to address, in effect creating an unnecessary financial burden for states.